You guys. You have no idea how long I’ve been waiting to make English Muffins From Scratch again. 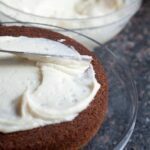 I’d made them a loonngg time ago in the early early days of this blog, but I haven’t had the chance to make many since! Why? Because our beloved Kitchen Aid mixer has been out of commission. 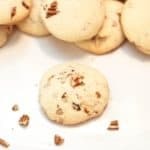 Even though you don’t need a mixer for this recipe, but trust me, using one will make your life a lot easier, so I’ve been waiting until we had ours back up and running. My husband, bless his heart, has refused to buy a new one. Even though we’ve taken his (yes, it’s his mixer that he bought as a Christmas present for himself about 6 years ago) mixer to the appliance repair shop once before, absolutely hates our throw-it-away-and-buy-a-new-one culture. Which is one of the many features about him that I love; however, he’s also a very busy man and so it’s taken a long time of calling Kitchen Aid and trying to diagnose the mixer’s issues before we finally were able to get all of the gears replaced and get the mixer home. Having it fixed may not have been the best economical choice, but I have to say that even though it may have cost more than I would have liked, knowing that we stayed true to my husbands values and that they’re ones that he’s going to pass down to our daughter, makes it worth the extra money. Plus, all of things we can start making again that I’ve been holding off on because I’m too lazy to mix it all by hand, well that makes it all worth it too! 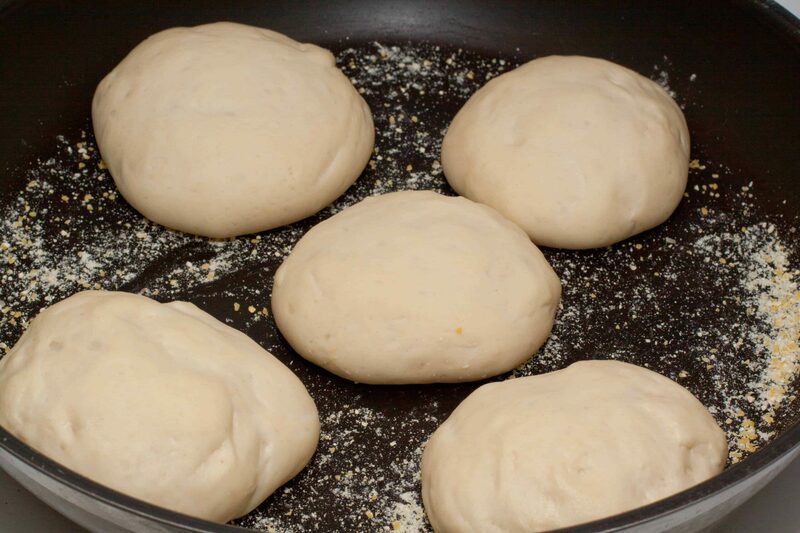 The dough itself for English Muffins From Scratch is super easy: milk, yeast, egg, flour, salt, and butter. That’s it. It’s a really sticky dough so once it’s all mixed together the bowl you transfer to the dough to needs to be well oiled. We use our trusty Misto to spray in olive oil. 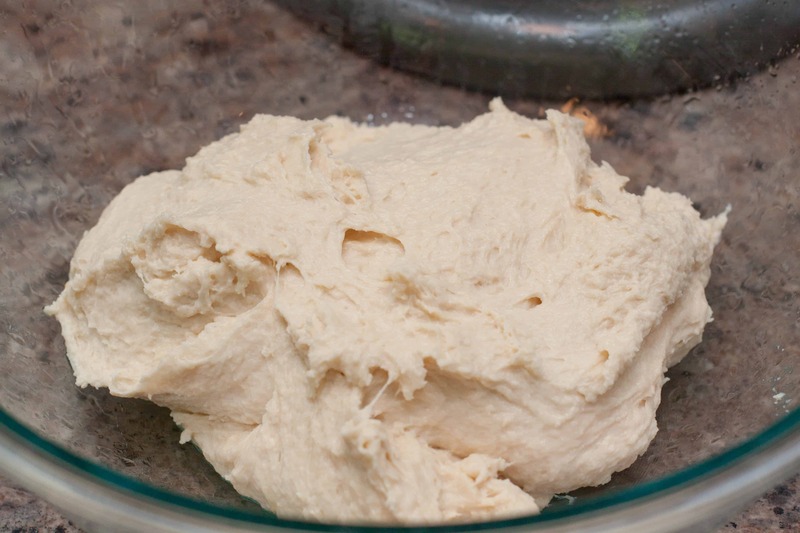 Left to rise and a couple of hours later and you have this beautiful soft, still sticky, dough. Funny enough, we got our mixer back but in the meantime I totally lost our stove top griddle. I have no idea where it is. I looked everywhere and couldn’t find it. The best we could come up with is that we brought it somewhere and then forgot to bring it home. Oh well. A griddle is not needed, it just helps cook more muffins at once, but a nice big pan will still hold about 5 muffins at a time. In a cornmeal dusted pan, I portioned out the muffins (about 2 oz each, a ball the size of the center of my palm), and let them rise for another 20 minutes in the cool pan. Then I turned the pan to medium low heat and cooked the little muffins for about 10-12 minutes before flipping to cook the other side. Another 8-10 mins on the other side and then they’re done! Look at all that space for nooks and crannies! A little toasting, a touch of butter, and ahhh English Muffins From Scratch! English Muffins made at home! 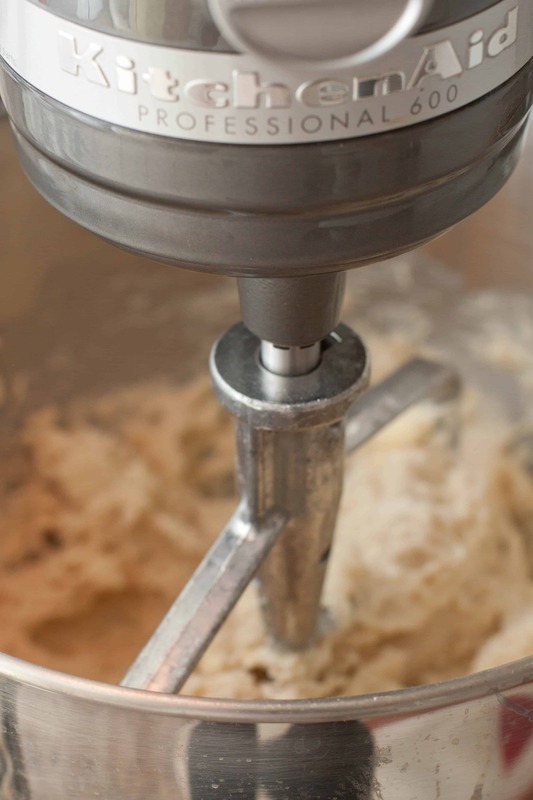 Place milk in the bowl of your stand mixer fitted with the paddle attachment and sprinkle yeast over top. Let sit for 10 minutes to activate and then add the butter, salt, sugar, egg, and flour. Mix on low until the flour is incorporated and then switch to medium and beat for 5 minutes. 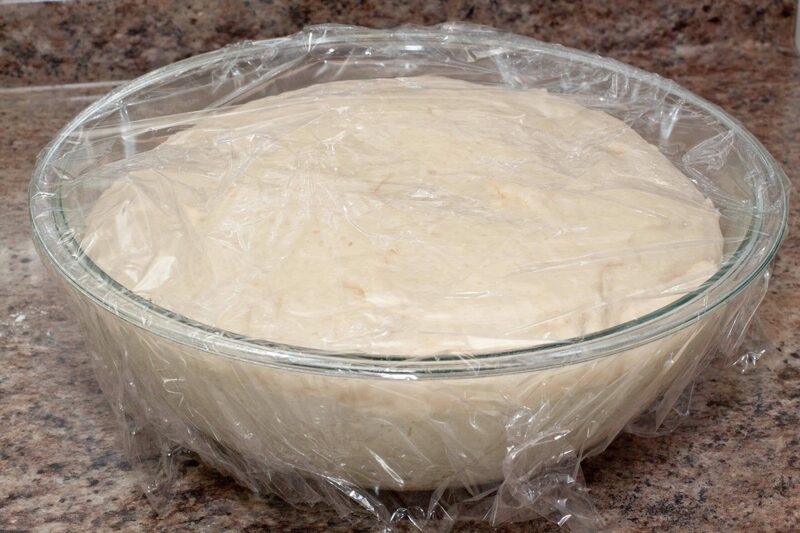 The dough will be very soft and sticky. Oil a large bowl and then scrape dough out into it, cover, and let rise for about 2 hours. 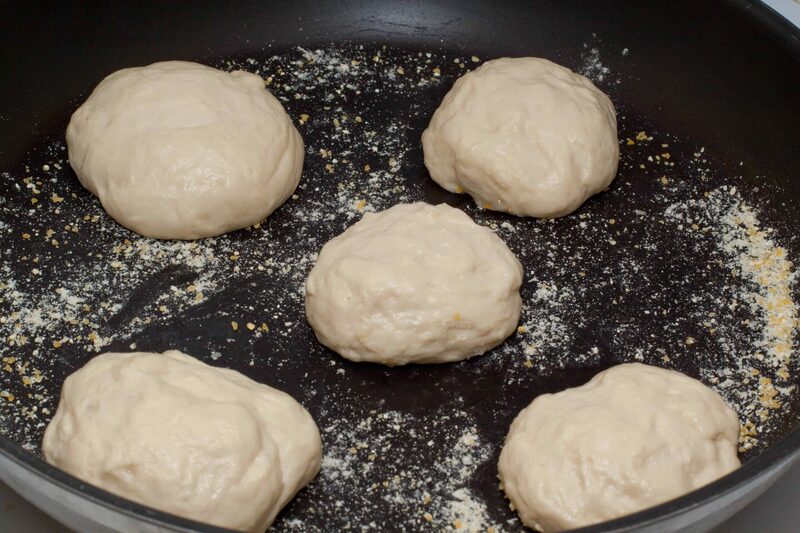 Oil your hands (to prevent the dough from sticking) pinch pieces of dough off (2 oz, if you have a kitchen scale or about the size of the center of your palm), form a ball, and place on a (cooled) griddle pan or in a large saute pan that is generously dusted with cornmeal. Put the remainder on a baking sheet dusted with cornmeal, or if you have another large saute pan, prep a second pan. Heat 2nd pan and cook or carefully transfer the rest from the baking sheet so as not to deflate them and cook until done. Let cool completely on a rack before splitting open with a fork. Muffins will keep fresh on the counter a few days and freeze well. I am with you, I don’t enjoy mixing by hand either. I have never made English muffins, but I would love to try. And I totally agree with your husband’s values about not just getting rid of something and replacing it when it can be repaired. It’s definitely worth a little extra effort if you can get a few more years of use out of something! P.S. — I just wanted to say I LOVE your blog banner / logo! It’s so simple and cute! I love homemade English muffins! (One of the things I have to work on, now that I’m gluten free… ) So much flavor. 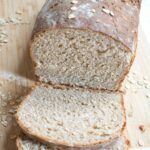 I never used a stand mixer – *until* I fell and hurt my hand – and several years into not baking bread (I’m stubborn) accepted that hand kneading was not going to be easy for me again. But once I had it, I didn’t know how I’d ever baked bread regularly without it! I just love English muffins and only hope mine would come out at beautiful as yours did! 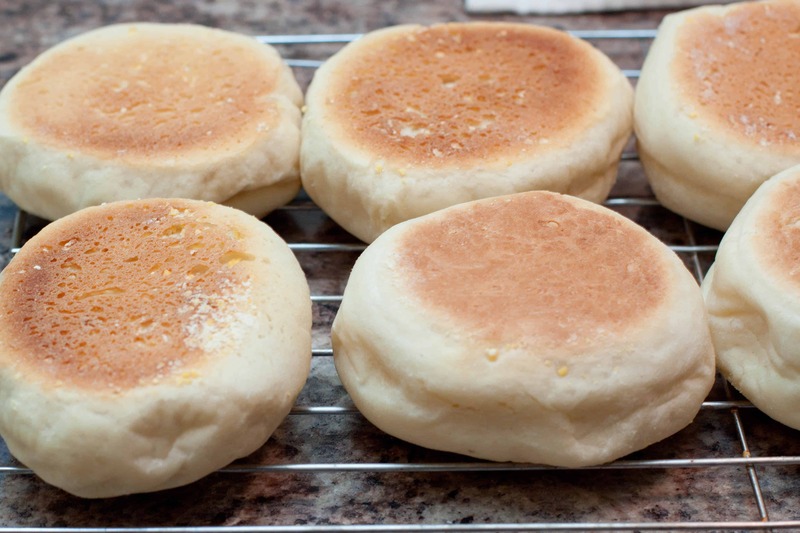 I’ve been wanting to make English muffins for a long time too as I can’t buy them here! So happy to have this recipe Tracy! Thank you!! What kind of yeast did you use? 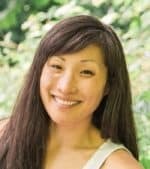 I have fresh yeast, will that work? Hi Naina! 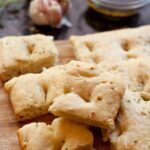 I use active dry yeast for these- I’ve never baked with fresh yeast before though! I’m sure it would- do you have a good conversion from dry to active? I’m so curious about the difference! Is it too late to request these for Mothers Day morning? I have printing off recipes and putting them on my boys desks…big hints. LOL I have never made them from scratch but this looks so fun to do and delicious. 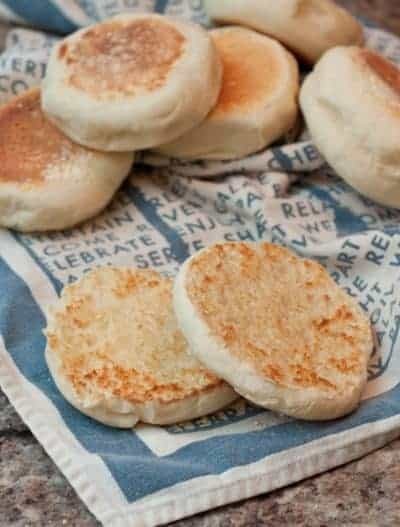 Great idea to make some ahead and freeze them so any time you want you can have a delicious homemade English muffin. Can’t wait to make these! 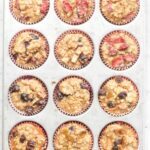 Is a cast iron skillet ok for browning the muffins? You’ve made my day! Those English Muffins look great! I love English muffins! They look perfect for brunch! I think I would have had a hard time if my husband wouldn’t want me to buy a new mixer. I totally understand his take on why not. But 6 years is a long time and I always think, if it broke once, it’s going to break again, so there goes more money. 🙂 But with all that said, these English muffins look outstanding. My mom used to make her own for many years, but I hadn’t tried it in a long time! Right? But hey, looks like he was right as it’s still going strong now 9 years in… so I guess it’s a win! Wow, the texture on these looks perfect. I’ve never made English muffins at home but now I’m intrigued! It’s a fun project to do if you have the time! This is so simple and easy to make. Sure to try them out for my family They will surely love them. I always think English muffins are a good idea but then am always disappointed by the store versions. Great process photos. I’ll have to try your recipe! My mom used to make English muffins from scratch, but I haven’t made them in a while! Your recipe looks so delicious! There is nothing more delicious than homemade English muffins. 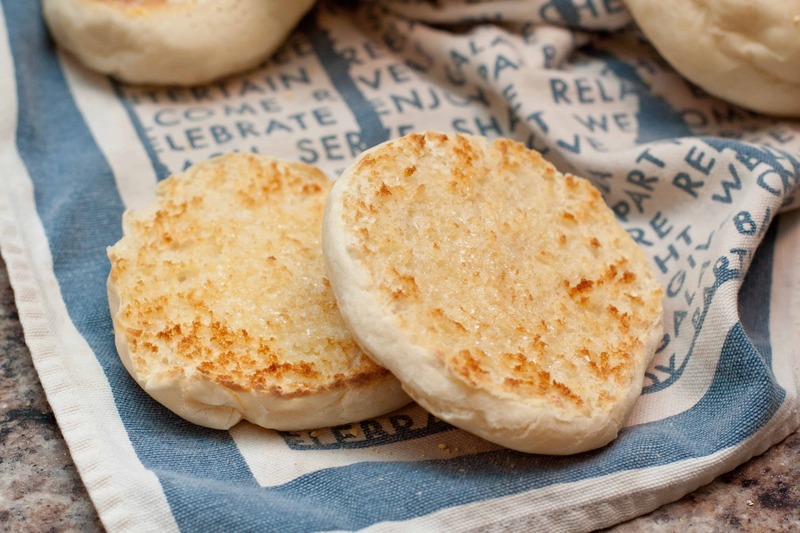 We have english muffins every weekend and these couldn’t look any easier or more delicious! Can’t wait to add them to my menu! 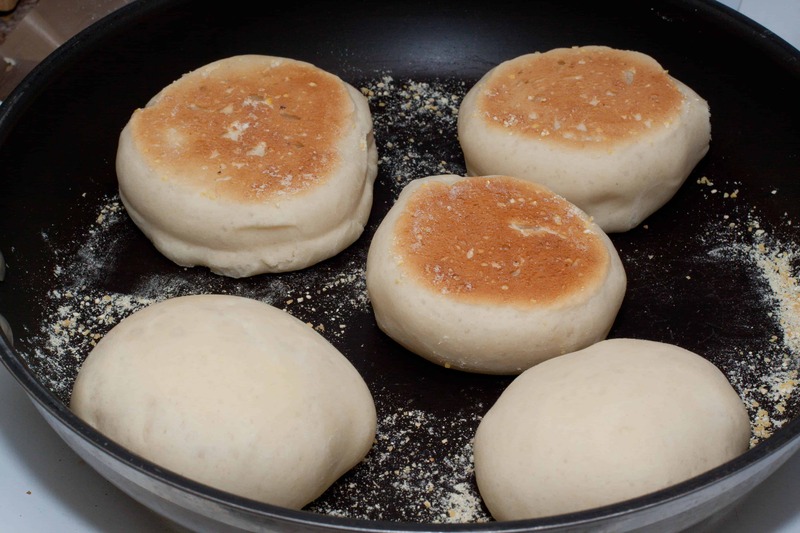 I love English Muffins and I’m sure that they taste much better from scratch! Yum! Oh I have to make these!!! Love English Muffins with a some butter on them! These are absolutely FANTASTIC!! I finally had some free time to bake this week and I was craving an egg white, ham, and cheese sandwich and on homemade English muffins? To.Die.For! I will definitely be making these again. 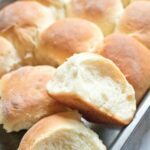 I’m going to try these although I’ve not had very good luck with yeast dinner rolls. I make wonderful cinnamon rolls that turn out perfect every time,. Hoping they turn out as good as yours look! As for your Kitchen-aid mixer, I understand completely. I have two and did have three until one stopped working. Unfortunately my husband isn’t like yours and he took it to goodwill before I could get it fixed! It’s amazing how often I use both of mine, and if one broke down, I’d be out buying another immediately! 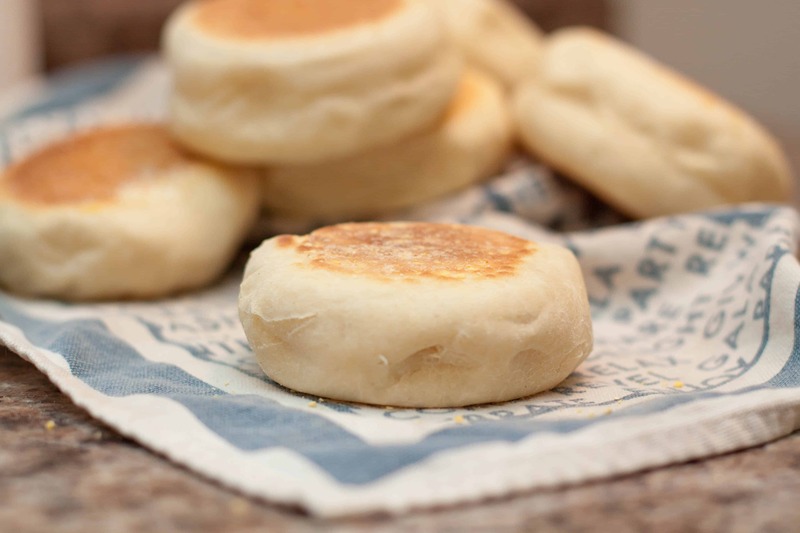 I had no idea it was so easy to make homemade English muffins!! Those look like they cooked up perfectly! THESE LOOK PERFECT!! 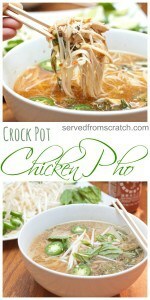 Cannot wait to make! My favorite part of an English muffin are all those nooks & cannies. The texture of these looks SO devine! These English muffins look so delicious! So easy to make at home!